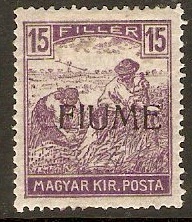 Fiume 1918 15f Violet. SG7. Heavy mounted mint 1918 15f Violet. SG7. 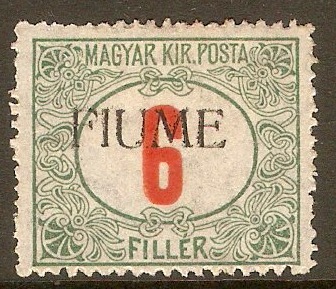 Stamp of hungary with overprint. 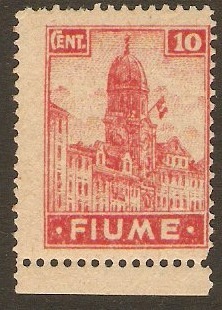 Fiume 1919 2c Light blue. SG32. 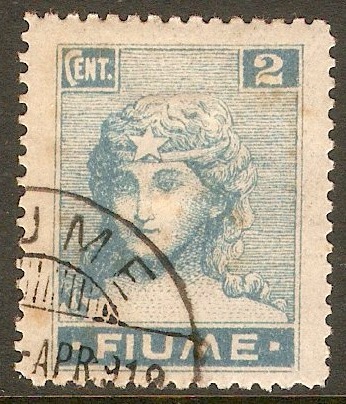 Fine used 1919 2c Light blue. SG32. 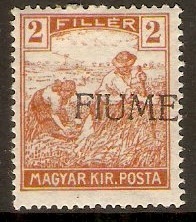 Fiume 1918 6f Red and green - Postage Due. SGD35. Unused 1918 6f Red and green - Postage Due. SGD35. No gum. 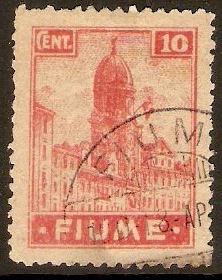 Fiume 1919 10c Rose-red. SG36. Unmounted mint 1919 10c Rose-red. SG36. With sheet margin. Fine used 1919 10c Rose-red. SG36. 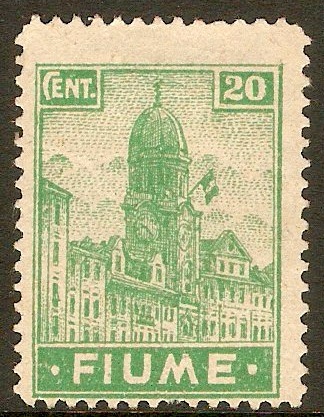 Fiume 1919 20c Emerald. SG39. Unused 1919 20c Emerald. SG39. Sweated gum. 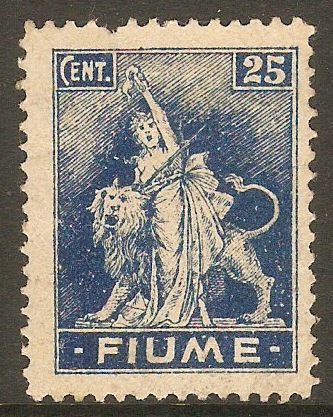 Fiume 1919 25c Blue. SG41. Unused 1919 25c Blue. SG41. Sweated gum. 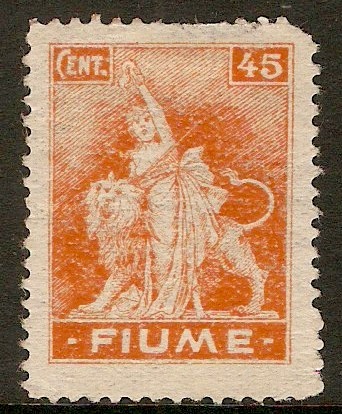 Fiume 1919 45c Orange. SG45. Some damage 1919 45c Orange. SG45. NOTE: Missing corner perfs. 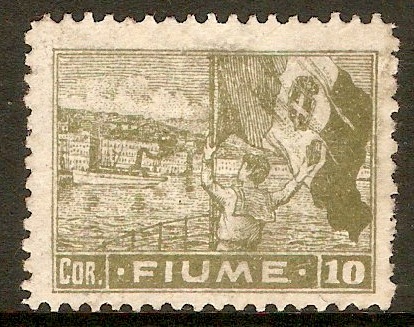 Fiume 1919 10cor Olive-green. SG51. 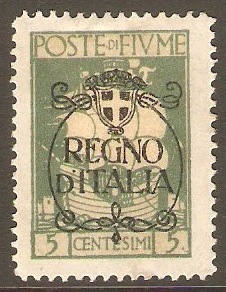 Unused 1919 10cor Olive-green. SG51. Sweated gum.